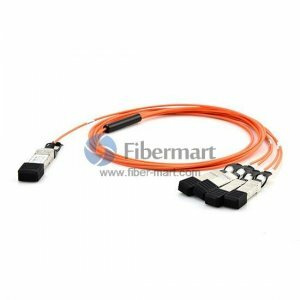 QSFP+ (Quad Small Form-factor Pluggable Plus) Cable Assemblies are high speed, low latency, twinaxial copper cables used for high speed network backbones, enterprise network switching and network storage. The cables offer a highly cost-effective way to establish a 40-Gigabit link between QSFP+ ports of QSFP+ switches within racks and across adjacent racks. QSFP+ cables are used for 40GBASE and Infniband standards, to maximize performance.We provide QSFP+ cables including 40G QSFP+ passive copper cables and active cooper cables. Custom cables are available in various lengths and other options.